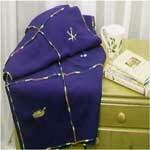 Fleece has become a popular fabric for making clothing items and other things. It is easy to care for, highly breathable, lightweight, holds its color and best of all fleece is so soft and so comfy. 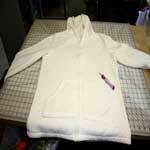 Here are a number of patterns for sewing with fleece. When in need of a unique gift idea just pick a pattern and make a special gift. Enjoy working with this wonderful and durable fabric and make such things as cozy slippers for your feet, a warm winter scarf, adorable poncho and many more. 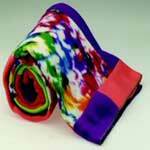 Also visit our "no sew fleece patterns" page. 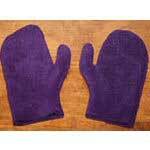 Here is a basic pattern for making warm mittens. Choose colors to match a coat and scarf. 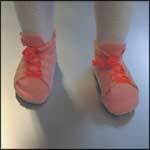 You can easily sew these inexpensive little fleece booties that look so precious on a little ones feet. Stay warm and comfy with an embroidered lap blanket you made using these easy-to-follow instructions. Make this beautiful quilt throw to give as a gift or for your own family that's made completely out of fleece. 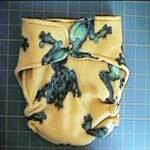 Easy to sew diaper cover-ups can be made using this detailed pattern. Create pretty fleece pillows in bright solids and lovely prints that will brighten and add to the decor to any room in the house. 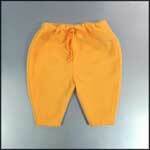 Here is a pattern to help you make a pair of fleece pants for a baby. Great pattern for a thoughtful shower gift. 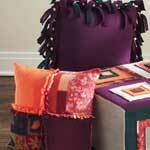 Take a little time to make a cozy lap quilt using this step by step pattern and your choice of colorful fabric. This fleece poncho is designed with an embellishment of flowers. 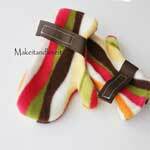 With an adjustable velcro strip around the wrist area, these cute mittens are always comfy to wear. Using a old fleece jacket or sweater, you can create an adorable blanket with a child's name cut out of fabric scraps. 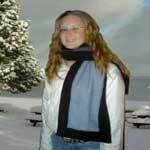 Here is a pattern for adorable skinny scarves with an embroidered design at the ends. 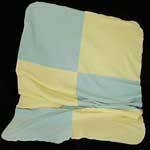 Using your fleece scraps, you can make a blanket for baby, a throw or even a warm blanket for the bed. 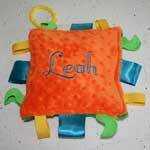 Fleece project for making a colorful baby toy with baby's name embroidered on it. 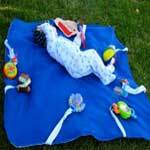 Watch this informative video on how to make an outdoor blanket using fleece. 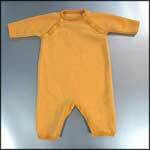 Follow these simple instructions for making a warm and soft jumpsuit for a baby. 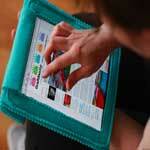 Just follow this fleece pattern and create an iPad cover for yourself or to give as a gift. This fleece duster can be made with all your fleece scraps. This fleece scarf pattern requires a lot of cutting but very little sewing for a cool looking scarf that you will love wearing. 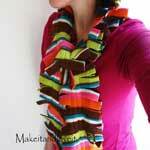 Easy to make scarf. Double sided patchwork, great for using up scraps. Measures 55" x 10". This boa scarf would make great Christmas presents.